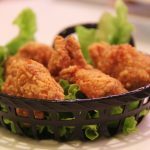 Because air fryers have been advertised as healthy ways to enjoy guilty fried foods, they have achieved huge popularity for those people searching for ways to lose weight. This way they are still enjoying some foods that otherwise would be forbidden, especially on a diet. Air fryers are claimed to actually lower the fat content of some of the top popular foods like French fries, empanadas, chicken wings, fish sticks and more. But are they really healthy? Let’s get an introduction to the air fryer and see what all the hype is about – to see if the benefits people are talking about really outweigh the risks. As with many industries, particularly when it comes to cooking and food, when a need arises in the market for a product, the product will be made to meet that demand. As we get to know more about our diets, particularly that of unhealthy fats, new solutions develop, offered for those wanting to protect their health. Fast-food outlets in the USA serve over 50 million customers in a day which means that millions are consuming diets high in fats, sugar, and salt. What an air fryer is and how does it work? Most people who spend a lot of time in the kitchen preparing foods will probably know what an air fryer is. But for those of us who don’t, let’s get acquainted. An air fryer is a popular appliance used in the kitchen to make fried foods. In fact, you could describe it as a miniature convection oven. Initially, air fryers were designed to be safe and easy methods of frying, to reduce the oil needed for frying as well as to reduce pan fires and even injuries. The results have spoken for themselves – millions have been sold all over the globe. The air fryer has a heating element radiating from the top of the air fryer. This hot air quickly gets circulated around the insides of the little oven, down the outsides and then kind of back up through the center again. 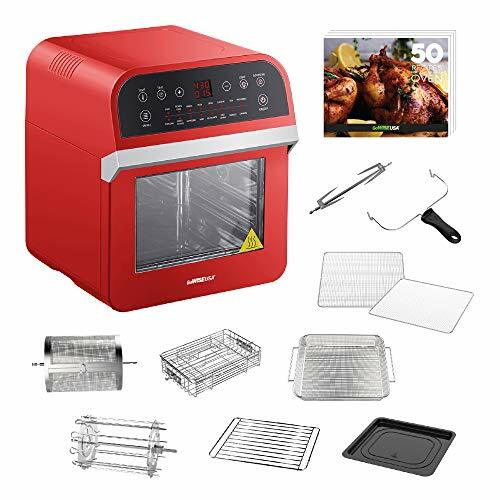 This fast-moving hot air touches all the sides of your food, quickly removing the moisture on the outside before starting the frying process to produce the right flavors. This is called the Maillard reaction, a chemical reaction occurring between the reduced sugars and the amino acids that create that lovely crispy browned texture. The heat in the fryer is around 140-165 degrees Celsius (about 280-330 degrees Fahrenheit). 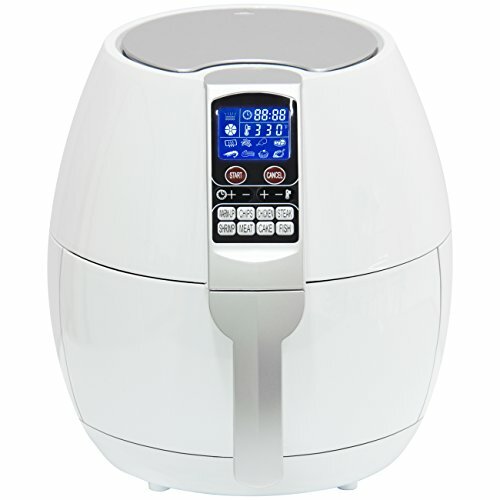 Airflow and temperatures are monitored well in an air fryer with self-regulating systems adjusting automatically to maintain the right cooking environment. There are also automatic timer shutdown features which are great safety features. People love having an air fryer because it is so easily placed on countertops in the kitchen. Philips is the company from where the first original air fryers came from, but since then, heaps of brands have come onto the market, all with their own versions of air frying that will appeal to the public. OK, but are they healthier than deep fryers? Air fried foods are considered a healthy alternative to foods that are deep fried because they have lower fat and lower calories. Instead of your donuts or hot chips being submerged totally into hot oil, you just let your air fryer do its job. You only add oil to food if you are preparing home-made fresh food that has not been pre-treated, like fresh peeled potatoes or chicken that is non-marinated. If you want to add your own oil though, you add it over your food and not into the fryer to create that crispy layer. We all know that deep fried foods are foods that are higher in fat than foods prepared in other ways. Look at chicken for example. A chicken breast that is deep- fried will have about 30% more fat in it than the same portion of chicken if you roast it. There are manufacturers too, who will say that if you use an air fryer, you cut out all that fat in the fried chicken by as much as 75%! It’s simply because the air fryer doesn’t use the same amount of oil to cook with as the traditional deep fryer does. Look at recipes that call for deep frying; they will suggest using around 3 cups or at least 750 ml of oil to deep fry in whereas the air fried foods only require 1 tablespoon of oil or 15 ml to cook with. Deep fryers will use up to 50 times more oil than what an air fryer would. If you want to trim down your waistline, you would need to swap from deep frying your food to air frying it – that would be a good place to start, anyway. As you can see from the above, the air fryer is healthier to have in your kitchen than the deep fryer. Foods heated over 248 degrees Fahrenheit will produce acrylamide, which is toxic. It happens when food like potatoes, which contain carbohydrates mix with certain amino acids, when they are cooked at high temperatures together. It has been found that acrylamide in food is potentially cancer-causing and can cause damage to the genetic material of cells. It is really hard to avoid acrylamide forming in food when it is fried, toasted, grilled or baked. Foods like potato crisps, burnt toast, French fries, roasted and grilled foods could very possibly contain acrylamide. Researchers found that when food is air fried, the acrylamide in it is reduced by around 90% compared to conventional deep oil frying. Frying food like deep frying very likely will create the dangerous compound, acrylamide. This is formed in foods rich in carbohydrates when under high heat cooking methods, such as frying and roasting. The International Agency for Research on Cancer also claims that acrylamide has shown to be linked to cancer – even kidney disease and ovarian cancer. With air-frying, you help to lower the acrylamide content of fried foods – that’s a big plus. Still, people need to remember that air fried food remains fried food and we are all well aware of the studies that prove over and over again that by eating fried foods, you can adversely affect your health. Another benefit of air frying in that it actually helps you to control the temperatures food is cooked at; to avoid overcooking. Eating any foods that are fried until they are dark brown can cause a cancer risk. The Food Standards Agency in the UK recommends that people should only roast, fry or toast their food until it is a golden-yellow color, so as to avoid this risk. It’s a good idea to choose an air fryer that has the auto shut off button as well. But can’t you just use healthy oils to air fry with? There are some air fryers that do certainly live up to claims of using 75% less oil than when you traditionally deep fry. But cooking oils aren’t all the same, even if you do use less oil to air fry your food. Some oil processes mean the oils end up containing trans-fats which are known to clog your arteries. People have been known to call trans-fats “stealth fats” simply because they are usually hidden in foods that we so often eat. Reading food labels don’t always help or protect you since there are many gray areas in the laws which mean that trans-fats aren’t always identified. The American Heart Association says that when you regularly consume trans-fats, you raise the “bad” cholesterol and lower the “good” cholesterol; you increase your chances of getting stroke and heart disease as well as developing diabetes type 2. 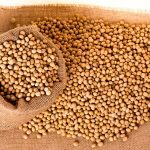 It is a good idea to steer away from corn oil, canola oil, cottonseed oil, and soybean oil, and also from foods that contain them. These are the oils that most people will use to prepare fried and processed foods. These oils do contain trans-fats in them but when foods are heated, they undergo changes which are toxic. Most of the oils are also genetically engineered. Scary as well. These foods must surely rank as the worst foods you can eat on this planet. If you are looking for healthier foods, try olive oil or coconut oil. Clarified butter, sesame oil, raw butter is also fine. Coconut oil is the only one of these oils that is OK to use under high heating and that includes frying. People often get tempted to try olive oil for cooking and frying, but it breaks down under heat, losing all its health benefits. If you have bought an air fryer for health reasons, use coconut oil; it is safe to fry with. But then, if you are really trying to be healthy, you should really be considering investing in an air fryer, actually. However, if you just cannot stay away from fried foods, rather invest in an air fryer over a deep fryer. It’s just that unfortunately the foods that require frying are usually processed foods, needing oils to fry them in, which is not really suitable. 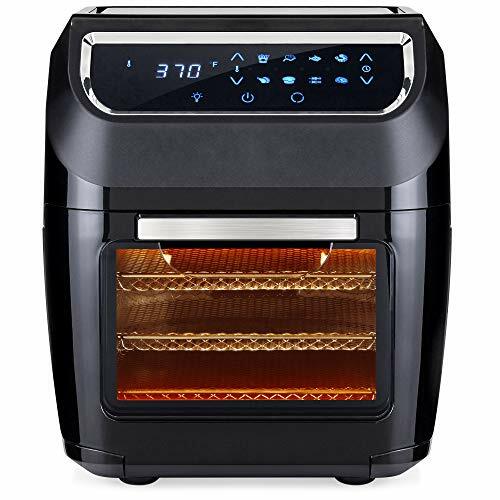 The benefit of an air fryer is that yes, less oil, but then usually foods that you will put in an air fryer are processed foods with unhealthy oils in. Fried foods are not the staple food of any diet lifestyle. the air frying method reduced the moisture content rather significantly as well as uptake of oil. Regarding the physicochemical property changes, the researchers found more changes in the oil that was extracted from the traditional way of frying compared to the air frying method. When all was said and done, the researchers did conclude that air frying was indeed the healthier option. However, it was also noted that even if less oil was used for air frying, it was the type of oil used, the temperatures for different types of food being cooked that all influenced free radical formation. If you do love air frying, it is suggested that you use oils that do not oxidize easily, like coconut oil. If you compare the traditional frying side by side with air frying, the simple answer is yes, air frying is healthier if you are someone who does eat a lot of fried foods. But before getting too excited, there is the proverbial, “but”. 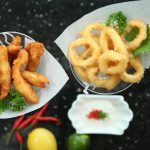 Air frying is OK if you are not really watching your health, but if you are watching your health, you have to look at the bigger picture – then it is naturally better to move away from the fried foods even if they haven’t been dunked in oil to fry them. The foods that air frying followers gravitate towards aren’t the healthiest of foods to start with, so whether you opt for chicken nuggets, burgers, or fries, even without all the oil, they have very little nutritional value, right? The little nutrients they do have are reduced in the cooking process. 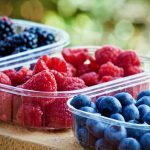 If you are someone who is serious about watching your diet and what you put into your body, it would be in your best interest to rather invest in more fresh and whole foods. By tossing broccoli into your air fryer, you are still cheating yourself of very special nutrients, because studies do show that eating cruciferous veggies raw, you definitely reduce your risk of cancer. An air fryer is nice; it’s quick if you want a ‘healthier’ plate of fries. 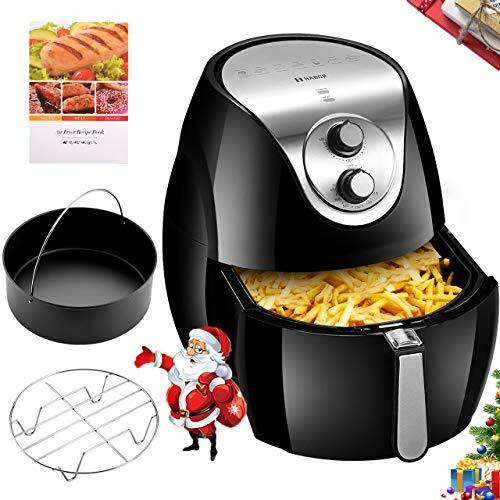 But it probably does boil down to the fact that having this tempting and useful device in your kitchen kind of encourages you to opt for the foods that are used in an air fryer; nutrient- void, processed foods, Packaged foods are exceptionally easy to purchase and to cook, and in the same way, the air fryer is convenient – it could be sending you in the wrong direction as far as food is concerned. If you really are worried about the fat you are taking in, try and move away from air fried foods in the first place. Switch over to the healthy fats that make your heart happy, like the oils that you find in walnuts, fish, olive oil and avocados. 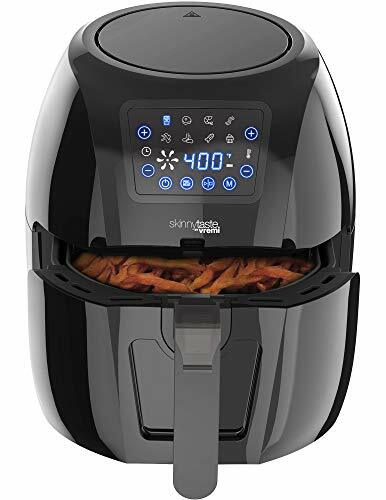 If you really have health on your mind and are striving to be healthy, then the air fryer is a healthier alternative to deep-fried foods, but the foods that you air fry aren’t going to make you a healthy person. Your diet is the thing that needs transformation. An air fryer is a device that can come across as if it will improve your health, and it will be sold as such, but really, getting down to the basics of real healthy eating that can stave off certain diseases, then eating colorful vegetables and fruits will really show a difference in your health and waistline! Yes, it does reduce calorie and fat intake, sure. With kids who don’t like their vegetables, with air frying, you end up with some nice flavorful and crispy veggies, making the kids enjoy them more. When you air fry, there is not that smell of ‘fried foods’ lingering behind in your home. 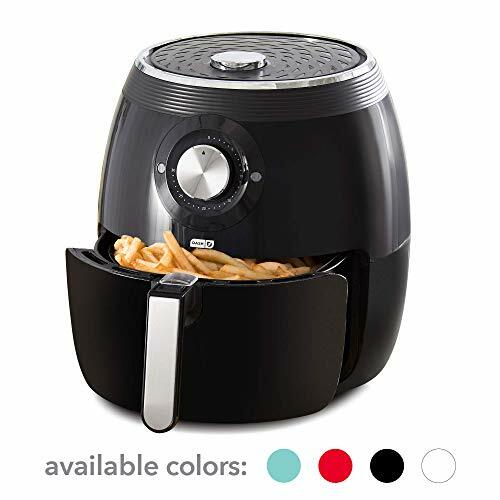 Some things nice … sweet potato fries are actually delicious done by the air fryer. Sometimes it is more difficult to get them crispy in the conventional oven, but if you sprinkle them with some delicious seasoning before adding them into the air fryer, they are nothing short of delicious. If that is tempting you to go out and purchase your air fryer – just look out for the ones that don’t use BPA plastics. (BPA is an industrial chemical used in making plastics). An air fryer can also be used very well to make crunchy oat and nut toppings for your other foods. You just brush oil on the foods you want to fry and then heat your air fryer to the temperature you need. An air fryer is inclined to make people believe that this is “healthy” – like, now we can eat fried foods every day! Using the conventional type oils to air fry your foods means you miss out on the benefits that come from plant fats like olive oil and avocado oil. Good high-quality fat is vital for hormone and brain health. An air fryer is not an oven and sometimes it can be challenging to cook if you have larger families. Okay, fried foods aren’t the healthiest things on the planet, but when it comes to fried foods from an air fryer, what you get is simple deliciousness, and nothing short. Bland potatoes transform into golden delicacies and simple dough turn in baked delights. It’s all thanks to the wonders of modern technology that we have this healthier way of frying foods. It means for those who can’t escape fried foods and the weight climbing on that usually goes with it; that they can enjoy these delicious foods when the craving hits, without all the guilt, calories and fat. The health-conscious folks out there will really love the oil fryer and many buy it for other reasons too. 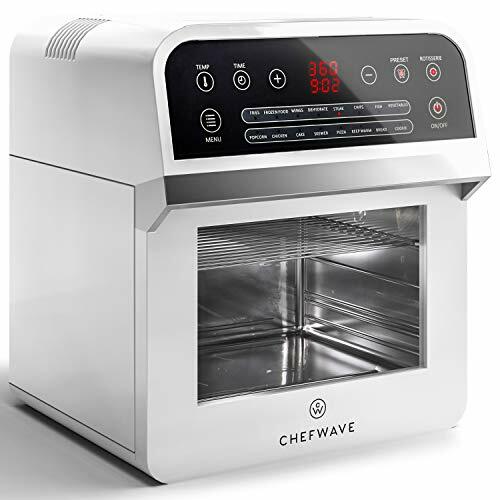 Some super busy people love them just because it simplifies the whole process of making dinner for the family – so if you need a cake or a steak, this little fryer will do it for you. It’s your choice – people swear by the fact that what they get from their air fryer tastes just like the deep fried stuff they get from the restaurants while others say their food doesn’t taste like the heavenly deep fried stuff they are used to. You make the choice, but if you yourself are trying to reduce your fat intake, then these air fryers will certainly keep you satisfied that your guilty pleasures are going to take just much longer to widen your waistline, and more healthily.